A jihadi who appears to stand no more than three-foot tall has been pictured posing with machine guns in Syria. 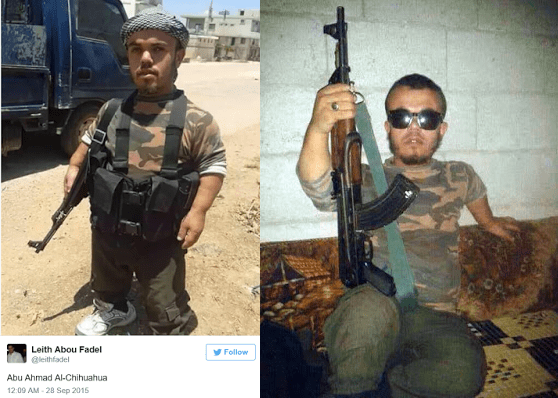 The ‘little person’, nicknamed by a journalist as ‘Al-Chihuahua’ is understood to have joined terror group Jabhat Al-Nusra which has links to Al Qaeda. The pictures of the tiny Jihadi were posted to Twitter by Arabic journalist Leith Abou Fadel, who is editor in chief of English language news site Al-Masdar news.